Minecraft Mania at Best Buy! 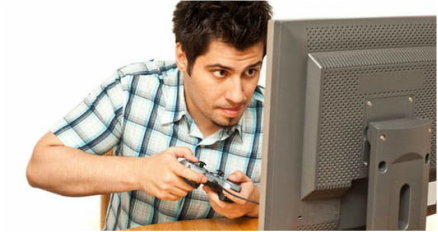 Are you a FAN of the hit game Minecraft? If you or anyone on your holiday shopping list is a fan, Best Buy has a wide assortment of Minecraft products perfect for any Minecraft game addict! Since it's inception in 2009, Minecraft has become one of the highest selling games with over 100 million copies sold! Minecraft is a game about placing blocks and going on exciting adventures. Through the game you can explore randomly generated worlds and build amazing things from the simplest of homes to the grandest of castles! The game can be played in "Creative Mode" with unlimited resources or you can mine deep in "Survival Mode", crafting weapons and armor to fend off dangerous mobs! ​Minecraft games and accessories make the perfect gift for an existing fan or anyone that is interested in playing this exciting game! The games are family-friendly and perfect for kids! The game is not only fun but educational, kids learn problem-solving, communication, vocabulary, science and a slew of other skills. Best Buy has everything you need to start playing the game and everything a fan would want which includes the Xbox One S Console Bundle, Minecraft games, Minecraft toys and collectibles. Best Buy has a wide selection of games and accessories including the Xbox One S Console Bundle and Minecraft expansion packs. 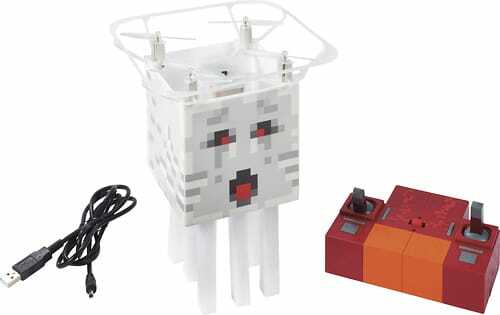 Best Buy has a wide variety of toys for any Minecraft fan including the Minecraft Flying Ghast Quadcopter with Remote Controller! Best Buy has a wide selection of collectibles that make the perfect holiday gifts like this Minecraft - Mini Figures Collector Case! ​​The reviewer has been compensated in the form of a Best Buy Gift Card and/or received the product/service at a reduced price or for free.